Every passionate soccer fan enjoys not just the game itself but also the talks and rumors around it. It is a special time every summer when the transfer window is open. A lot of players are changing clubs and signing new contracts. A lot of fans have high hopes for next season thanks to new acquisitions and a lot of fans are sad if their clubs are not aggressive during the transfer window. To keep you in the soccer transfer game, we let our experts pick top summer soccer transfers 2018 at the beginning of August and we will update our top summer 2018 transfers ranking as new signings will be revealed. Summer Transfer Window has different deadlines according to the particular leagues. Every league has set its own date, after which it is not possible for a player to sign a contract with a club within the league. as of August 9, 2018. will be updated. There is absolutely no doubt about the top soccer transfer of summer 2018. Cristiano Ronaldo made a move and he is not moving every year. His transfer to Juventus from Real Madrid means a lot to many. For SOCCERsoda experts, this trade is a win for everybody. Ronaldo himself needed a new challenge and he got it. 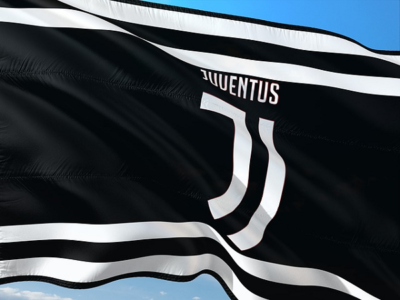 Juventus showed that seven Seria A titles in a row are fine, but it desperately wants also a success on the European stage. Who else can bring them to the Champions League trophy, if not Cristiano Ronaldo? Real Madrid lost the La Liga race to Barcelona but was able to win the Champions League third time in last three years. Really impressive, but they lost manager Zidane days after the triumph and they realize the time for the rebuild is here. Getting 100+ Mio Euros is always fine with a lot of young power like Asensio on the bench. Seria A is another winner of this trade. Ronaldo just started a series of moves (some of them will be in our Top Summer Soccer Transfers 2018 rankings) which makes Seria A better and more competitive. Believe us, you should follow Seria A 2018/2019 season and you definitely will not be alone. Goalkeepers usually do not attract the most attention during a transfer window. But this case is different. Everybody remembers the Loris Karius “spectacular” performance in last Champions League Final. Liverpool has the highest ambitions in the Premier League and the goalkeeper was the post they needed to solve urgently. So, LFC did not hesitate to spend an unusual amount money for a keeper who was great for Roma in Seria A, but his World Cup performance was not so spectacular. We will see if Alisson was the last missing piece of the title puzzle for Liverpool. Ronaldo transfer to Juventus was like the fall of the first brick in the domino wall. It was clear that someone from Juve has to go and make space in the line-up and in the budget of the club. Gonzalo Higuain came to Torino two years ago for 90 Mio € and scored 40 goals in 73 matches in Seria A for Juventus. Now it was time to move further. AC Milan got a proven goalscorer for a 1-year try-out. Not a bad start for new US owners of a club. Atletico Madrid is our favorite football club. They have Diego Simeone as the coach and perfectly balanced transfer policy. They bring young potential stars and are also able to keep their current stars like Griezmann. Impact of Lemar will be seen maybe later, but Atletico Madrid is planning long-term and that is the thing we like. Two years after most-ever surprising Premier League title the right offer came to Leicester. The money you can not reject. Now it is time for Mahrez to show if he is able to compete in a squad full of stars. But do not fool yourself, this is not the move which will change the Premier League. Javier Mascherano left Barcelona in January and the gap in squad remained unfilled till this summer. Arturo Vidal is the exact plug Barcelona needs for the right price. 18 Mio € price tag is absolutely appropriate for 31 years old player. Arturo Vidal can serve the club for many years ahead at the key position in midfield. One thing was sure for 17 years in Torino. Gianluigi Buffon in goal. With exception of Pavel Nedved, there was not such a player in Juventus shirt. But now, near the finish of his career, he is leaving for Paris. We are not sure if this move makes any sense for Paris St. Germain, but we are sure it makes financial sense for Buffon. This transfer starts to be the evergreen of every summer. In summer 2017, Leonardo Bonucci went the opposite way from Juventus to AC Milan for 42 Mio €. This summer he goes back for 35 Mio €. Thanks to this transfer we find out that 1 year in early thirties defender’s life means 7 Mio € depreciation. What we do not know is how Juventus fans will react to his return. We have to repeat that Seria A will be interesting as it has never been in past seven years. Napoli and Roma are usually challenging Juventus in the title battle. This season, however, will be much better. Neapol added Carlo Ancelotti as manager, AS Roma brought Javier Pastore from Paris St. Germain, which makes both teams stronger. We already mentioned AC Milan bringing Gonzalo Higuain from Juventus and moreover, Inter Milan was on the hunt this summer. They brought Vrsajlko on loan for 6.5 Mio €, Naingollan for 38 Mio € and de Vrij for free. And rumors are that Luka Modric from Real Madrid is their another possible target. With or without Modric, Inter Milan will be worth to watch. Another star moved over the Atlantic. Wayne Rooney, former captain of England national team and star of Manchester United, signed a three-year contract with D.C. United of MLS. After 16 years in the English Premier League (13 years in Manchester Utd., 3 years in Everton), formidable striker left for free to the USA after his contract with Everton expired. What seems like a way to retirement, can be a refreshing new start. We are the ones who see the refresh for 32 years old forward Rooney and 10+ goals per season coming. We were thinking hard about putting Courtois move from Chelsea to Real Madrid for 35 Mio € into the ranking. But at the end we decided to put it just here into Other Notable Transfer moves. The reason is, that this move does not make Real so much better. Real already has proven goalkeeper, who won Champions League three times for them already. Keylor Navas is reliable and experienced enough and it will be interesting to see how the battle for spot in Real goal develops. On another hand, Chelsea spent horrible 80 mio € for Kepa Arrizabalaga from Athletic Bilbao. 80 mio € (93 mio USD) is the record fee paid for goalkeeper. In our opinion, to pay such amount of money for internationally unexperienced goalkeeper is pretty risky. We do not doubt Kepa talent but still 80 Mio € is a lot.